Description : Whether you’re taking a family vacation, traveling on business, or driving cross-country, TripCart gives you all the tools you need to plan a memorable experience, whatever your budget. No more endless Internet searches or wading through masses of articles and travel books. TripCart is designed by travelers for travelers. 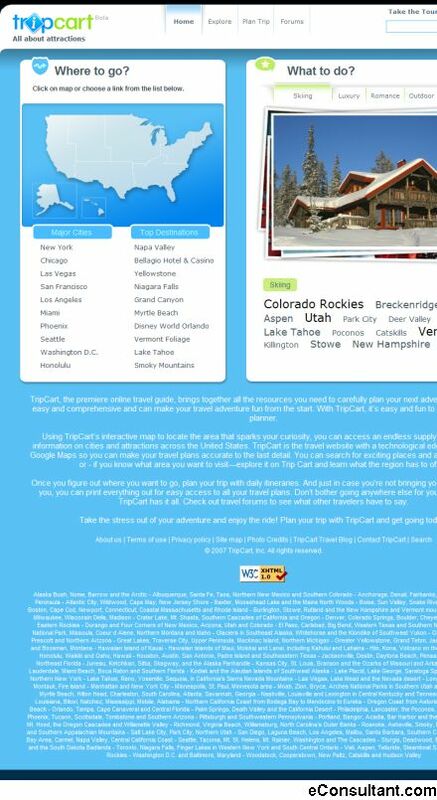 TripCart sort through the world of travel information to make it easy for you to plan the best possible trip.